This procedure is used to eliminate, or reduce the bow and twist, or warping of circuit boards. 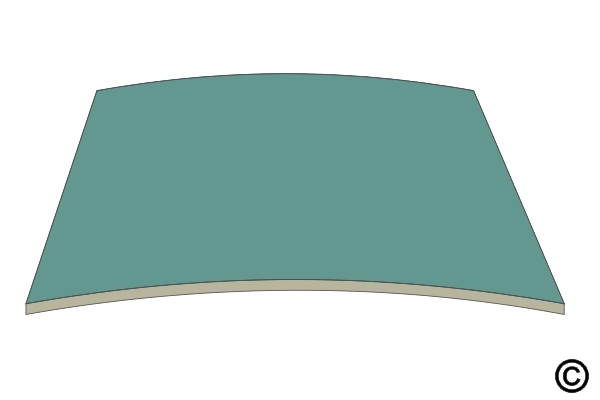 Check the edge deflection to see if it exceeds the maximum warp. Clamp restraint bars to edge needing rework. Bake the circuit board or assembly for 1 hour at 125 degrees C - 257 degrees F.
Procedure is used to eliminate, or reduce the bow and twist, or warping of circuit boards. This repair method is most suitable for FR-4, GE or GF substrate base materials having glass transition temperatures below 125 degrees C (257 degrees F). This process uses high temperatures. Some components may be sensitive to high temperature. Bow and twist should not be repaired unless sighted as a defect. Figure 1: Check edge deflection for maximum warp. Figure 2: Clamp restraint bars to edge needing rework. Check the deflection to determine if rework is needed. See Figure 1. Bow and twist after soldering shall not exceed 1.5% for through-hole circuit boards and .75% for surface mount circuit boards. The bow and twist shall not be sufficient to cause difficulties during placement, soldering and testing operations. Before dispositioning circuit boards with bow and twist as scrap, keep in mind how the circuit board is mounted in its final destination. Keep in mind "form, fit and function" without jeopardizing reliability. Components or parts that will interfere with the restraint bars should be removed. 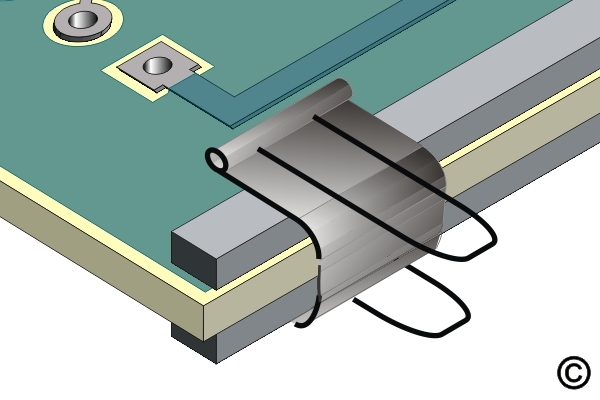 If the circuit board is warped along more than one edge or more than one plane, clamp the entire circuit board to the base plate. Place the circuit board, restraint bars and base plate into the oven. Bake for 1 hour at 125 degrees C - 257 degrees F.
Check the edges deflection using a caliper or pin gauges. Check for marks or damage along edges.